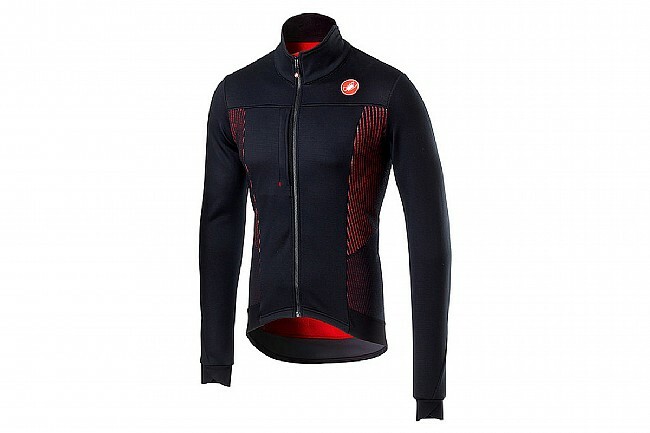 Castelli's Men's Espresso V Jacket features windproof knit stretch fabric and a breathable microporous membrane that shields against light rain. Articulated sleeves and a contoured collar ensure an ergonomic and comfortable on-bike fit. A zippered chest pocket and three rear pockets offer convenient storage for essential ride items like fuel, phone, keys, and money. The sleeve endings feature a cross-wrap design which makes for easy on/off and neat overlap with gloves. 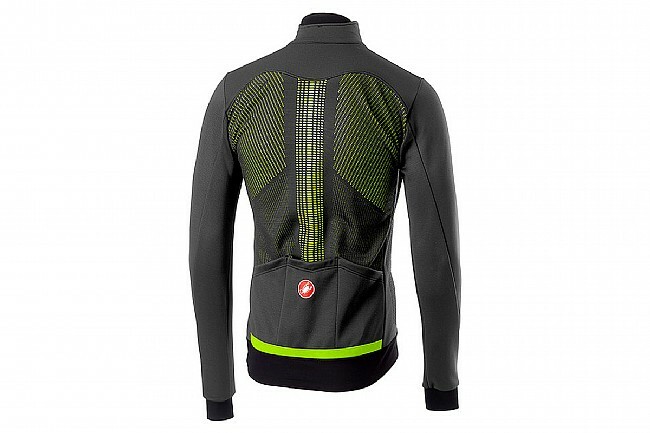 Reflective tape across lower back.